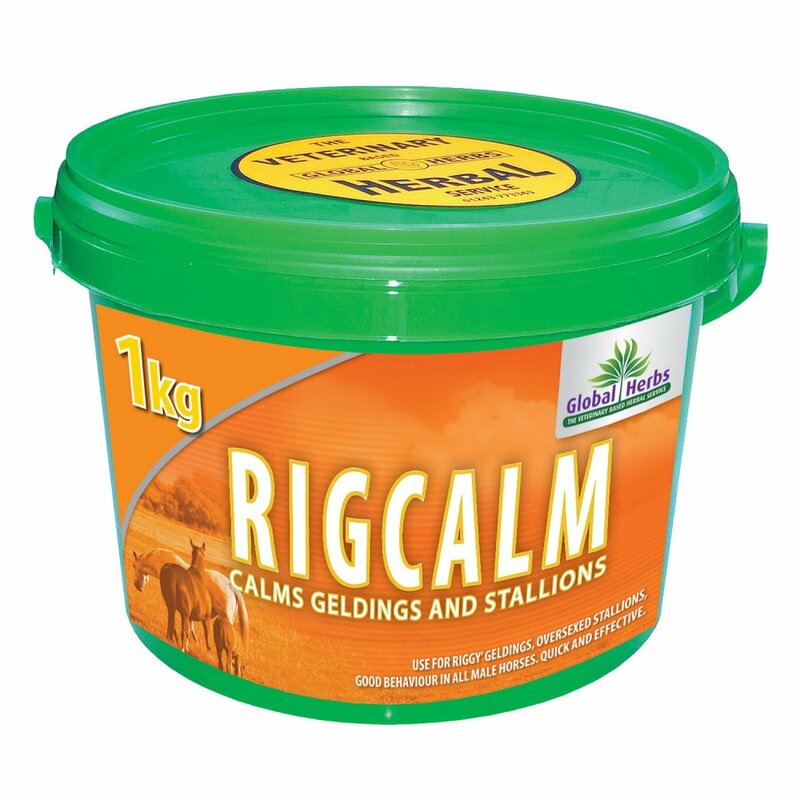 Global Herbs RigCalm has been specifically designed as a calmer to help with the challenges of geldings and stallions that are exciteable and difficult to manage. RigCalm is particularly helpful for geldings that are showing a little too much interest in mares and displaying 'riggy' type behaviour. This Global Herbs supplement is fast acting and highly effective and can be fed on a long term basis or just in the short term to combat a specific problem. RigCalm has many uses and has proven effective for oversexed geldings, stallions not used for breeding and colts that have become difficult to manage.